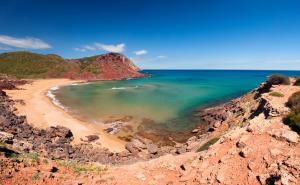 As a part of its strategy, the MEPF is committed to the reduction of the damages caused by marine pollution. For that reason, under this key sector, the MEPF has prioritized the support of several projects aiming to tackle this current matter. 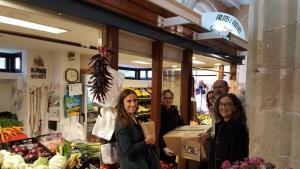 As an example of this commitment, past 2nd November the traditional market of Mahón (Claustro del Carmen) witnessed the delivery of sustainable paper bags for weighing fresh products. At the event, several stand owners received these bags as a part of the programme MAR NOSTRA, supported by MEPF, under PROJECT MENORCA, and implemented by GOB Menorca. MAR NOSTRA has several activities regarding the reduction of the use of single-use plastics and in this opportunity this campaign, to replace one-single-use plastic bags, gathered several entities interested in making it possible together: Carlos Coll (from GOB Menorca, President), María Membrive Pons (Economic promotion, Activities, Trading and Tourism Mahón Town councilwoman), Gemma Olives Tudurí (representing the Market El Claustre Trading Association) and Ana Pedraz Rodríguez (from Menorca Preservation Fund). MEPF, through MAR NOSTRA, is supporting GOB’s line of work towards marine environment protection, that started a few months ago to contribute tackling the enormous presence of plastics in the sea. 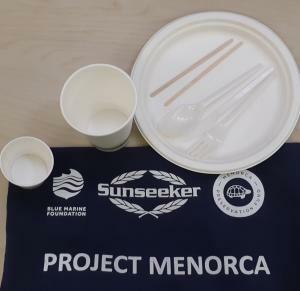 For that reason two of the components of MAR NOSTRA are aimed to reduce the consumption of single-use plastics on Menorca. 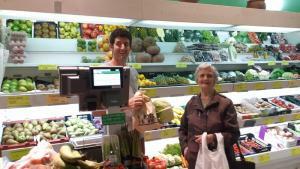 The first component, where this campaign sits, is to address the big amount of fine bags used to weigh the products. These thin plastic bags, used in many shops, are one of the most common waste generated in the island and due to its lightness, on windy days, it is very easy they go out of control, ending up in the sea or in the natural environment. They are often ingested by turtles, marine mammals and birds that confuse them with food and end up causing serious intestinal obstructions or even death. To address that problem MAR NOSTRA delivered these 30,000 paper bags in the stalls of fruit and vegetables of the El Claustro del Carmen. 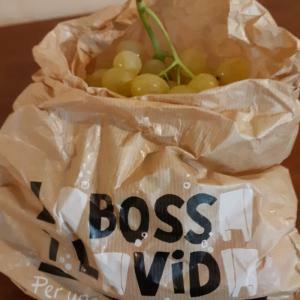 The bags included the slogan La bolsa y la vida, por un mar sin plásticos (bag and life, for a sea without plastic) with a logo designed thanks to the collaboration the designer Miguel Abellán «Pincho» has done with the GOB Menorca. Another MAR NOSTRA component to tackle to marine pollution problem. Campaign 20-bio. There is another habit in Menorca that generates a lot of plastics that end in the sea, the party tablewares. 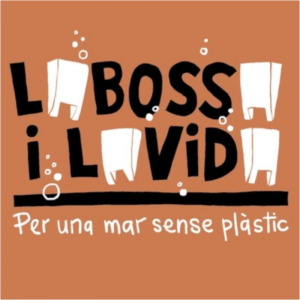 Having identified this situation, MAR NOSTRA has been designed as to include another programme complementary component with the same aim to reduce the amount of plastics in our coasts: the Campaign 20-bio. This campaign encourages to reduce, among all of us citizens responsible for our leisure habits, the amount waste we generate. The campaign starts addressing the Associations that hold seafarer parties encouraging them to use materials that can be reused as a better option instead of using plastic cutlery and plates in their parties. The campaign takes into account big events where is impossible to use traditional reusable materials and delivers, to the commitment associations, easily biodegradable products to contribute to change the attendants habits. Under MAR NOSTRA, The GOB is trying to get the maximum number of people to join the challenge to ensure that by 2020 there will be almost no one left in Menorca using plastic elements of short duration and long environmental problems. MEPF is very happy to confirm how our support make it possible to encourage initiatives that can collect further collaborations once they are being implemented. 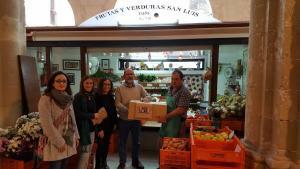 With “The bag and the life” campaign, MAR NOSTRA has raised the support from Mahón Town Hall that joined the initiative by providing a second supply of 20,000 bags in February 2019. And Marilles Foundation is also supporting the initiative at general level.